Facing a cash squeeze and a bulging pension bill, the Indian Railways have launched a first-of-its-kind exercise to physically verify whether all its retired employees, aged between 80 and 100 years, are still alive. Starting this month, hundreds of “Welfare Inspectors” have been fanning out to track down each of the 2.86 lakh former employees in this age group, who form 20 per cent of the Indian Railways’ total pensioner population of 13,75,483 and draw a combined pension of at least Rs 8,000 crore. he inspectors, all railway employees, have been asked to visit the houses of all pensioners in this age bracket, obtain their signatures and, if possible, that of their neighbours as witnesses to certify that the beneficiary is alive. “Legally, every pensioner is supposed to provide physical proof of life to banks every year to continue drawing pension. The system works fine. 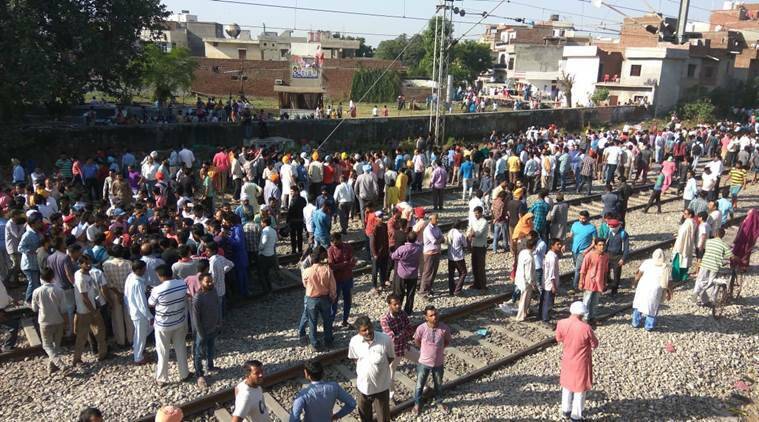 But looking at the huge numbers and considering the age group in question, we just want to rule out the possibility of any irregularity there,” a senior Indian Railway Board official told The Indian Express. Official sources said the “pension reconciliation” exercise was initiated recently by Railway Board Financial Commissioner Sanjoy Mookerjee after an internal assessment found that the number of pensioners between 80-100 years of age was much higher than that of any other government establishment, including defence. The Rail Budget, incidentally, will be unveiled this weekend. According to government figures, the next in line in this pension segment is the defence ministry, which is far behind with 42,000 pensioners. The Railways, however, is the largest government employer with over 13.35 lakh employees. * There are 2,30,409 pensioners in the Indian Railways between 80-90 years old. And, pensioners who reach 80 years of age are entitled to an increase of 20 per cent in the form of old-age benefits and Dearness Allowance-linked pay — this amounts to Rs 2,000 crore currently. * The number of Indian Railway pensioners in 80-90 bracket constitute 50 per cent of the government’s entire pension liability towards this age group. * The number of Indian Railway employees drawing pension between 90-100 years is 55,684, which is 47 per cent of the government’s pension bill in this age bracket.